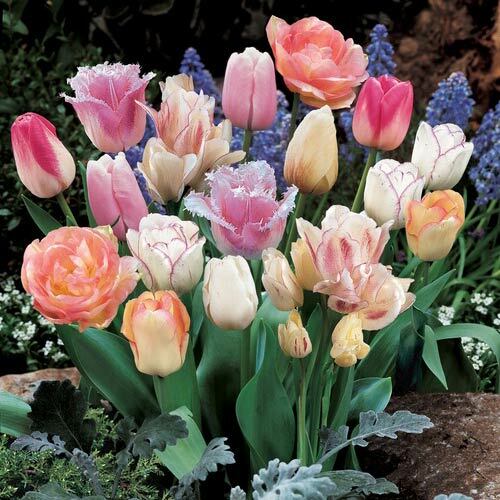 A stunning blend of pink and white Tulips in all imaginable shapes and patterns. We included our finest double, single, fringed and two-tones. Our special blends consist of amazingly colorful combinations. Each variety will flower at different times throughout the spring season, guaranteeing a longer blooming period.